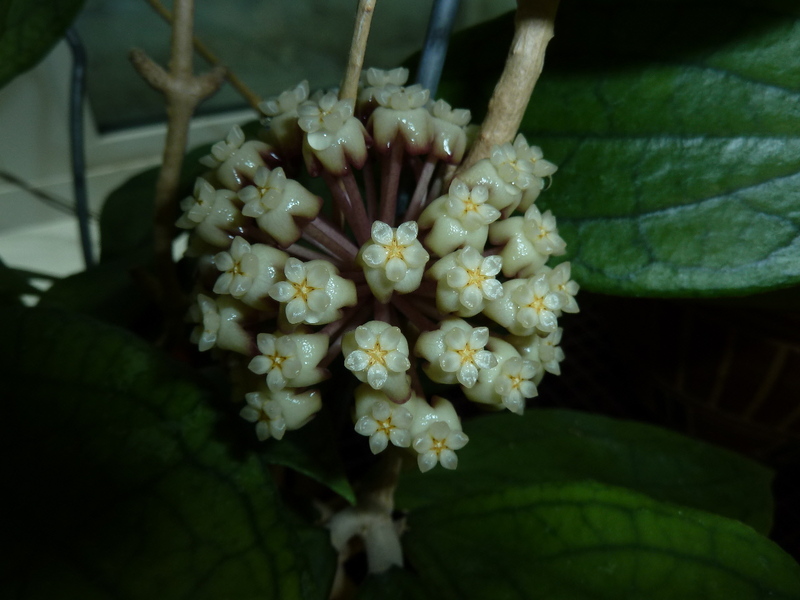 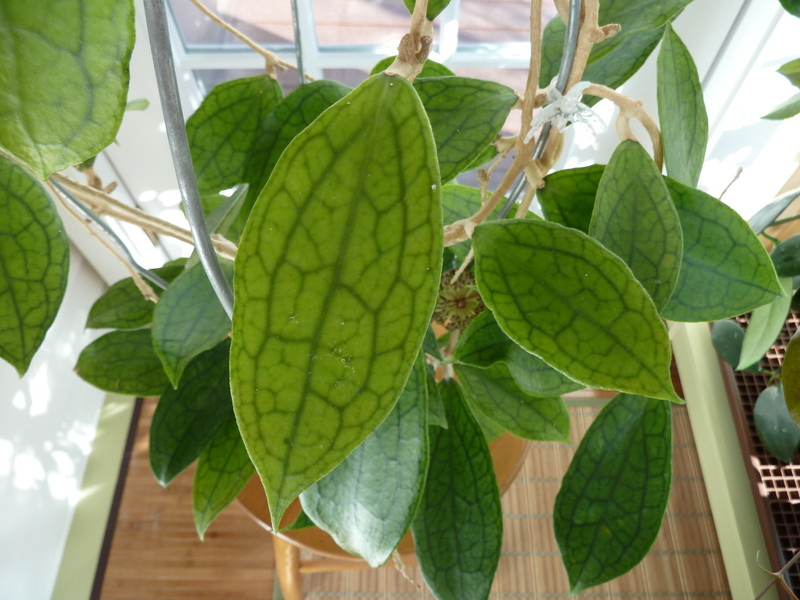 This is a slow growing Hoya with fantastic leaves. 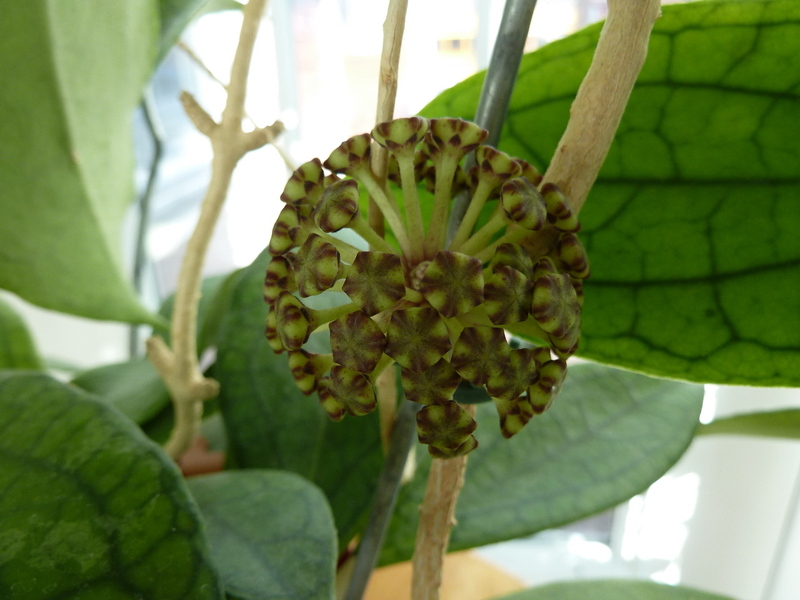 It is March of 2011 and it is preparing to flower for the first time. 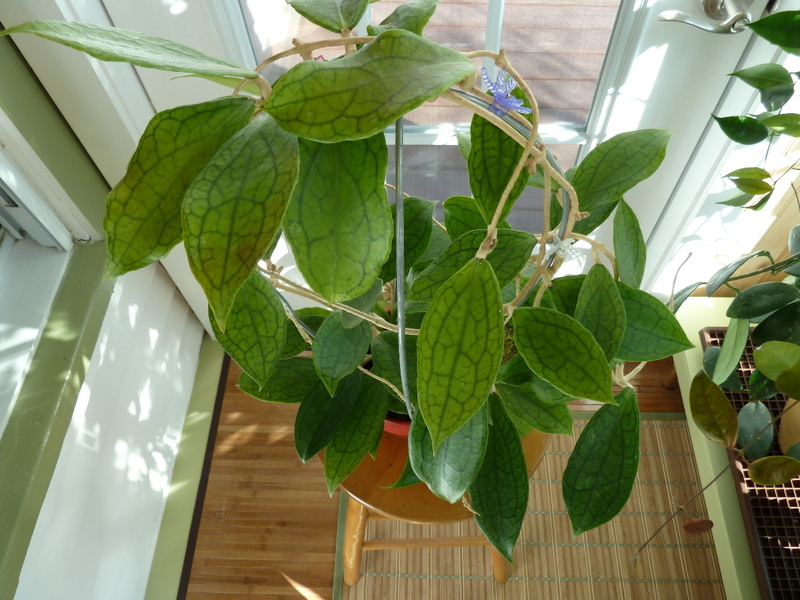 I received it as a cutting around three years ago. 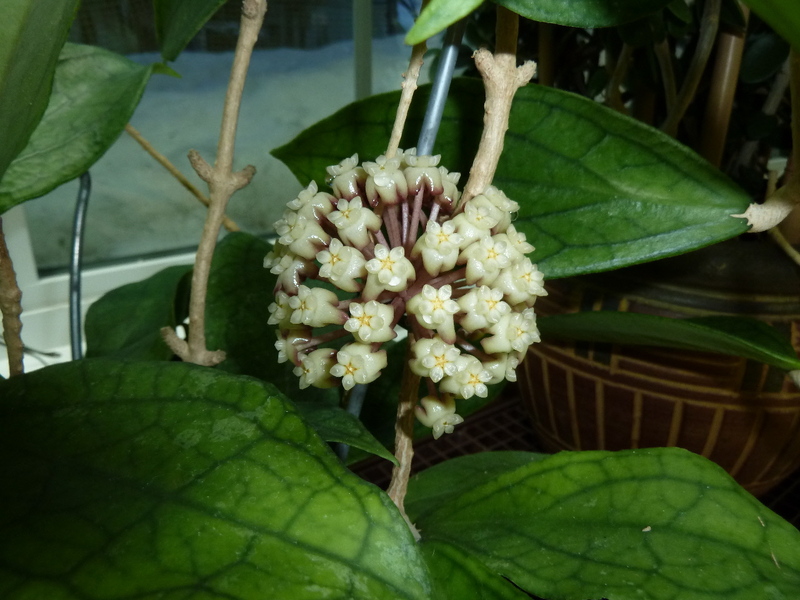 It is a tough plant that goes dormant in the winter when placed it the main house; but that is not really a bad thing.